In John Mackey’s (known for Whole Foods Market) and Raj Sisodia’s Conscious Capitalism, they recount that author and trainer Richard Leider asks every audience he speaks to on what the two most important days of one’s life is. The first is the day one was born, which is obvious. The second is not so obvious, and isn’t any of the days significant milestones in life are reached, nor is it the day we go home to God. It’s the day when we realize why we are born. Nothing could be further from the truth. We were born on earth not to simply live through it as animals past and present did and do. We weren’t born to be just another digit in the human population statistics. We were born for a purpose. This is the point promulgated most passionately by Arizona pastor Rick Warren, who is responsible for one of the biggest-selling books in history – and the second-most translated, after the Holy Bible itself. Oh, and while the Bible was released millennia ago, this one was released just 13 years ago. Welcome to The Purpose Driven Life. I’ve already briefly mentioned this book in two previous posts. The first was on my reflections regarding living a “better” life over a simply “good” life; the second was on meditating as opposed to worrying. These two points are important points in the book, the former in particular being a central theme. Complementing Pastor Rick’s own church and spawning follow-up materials and activities, The Purpose Driven Life is a good read for any Christian, from whatever denomination. Mirroring the forty-day symbolism used in the Bible (as discussed by Warren himself) such as in the Noah’s Ark narrative, Moses’ staying at Mt. Sinai, and Jesus’s stay in the desert where He was tempted, TPDL is a book meant to be read over 40 days, as it invites the reader to go on a spiritual journey to learn more about themself and the eternal truths God has prepared for them to discover. Each day the reader reads one devotion, with a central theme, a relevant quote from Scripture to reflect on, and a guide question for further reflection and eventual action. The book itself is organized into six main chapters – the introduction followed by the five Purposes Pastor Rick believes that God has sent each and every one of us here to earth to live out. I have paraphrased each Purpose below to be read from a first-person perspective. As you do so, I invite you to internalize each truth. I was planned for God’s pleasure (love of God). I was formed for God’s family (love of others). I was created to become like Christ (Christ-likeness). I was shaped for serving God (service of God and others). I was made for a mission (telling the world of God’s love). Each Purpose has 5-7 daily devotions to elaborate them further. The first Purpose simply talks about what the center of your life, or your god, will be. The second is all about your community and what you plan to do with or for it. The third is all about developing an integral character. The fourth is about the work you contribute – or more specifically, your attitude towards it. The fifth concerns the message you want to or should communicate to the world. Hence, Pastor Rick’s 5C’s – Center, Community, Character, Contribution, Communication. Or you can take it this way: GLOVS – Grow, Love, Others, Vocation, Share. How will you grow? Who will you love? What will you do for others? What is your vocation? What will you share? Through it all, Pastor Rick teaches that the only way to truly live is to focus on God and others – summed up in two simple teachings that can be found in the Gospel according to Matthew: the Great Commandment and the Great Commission. God must be the center of our lives and the object of our worship and ultimate love, and to put otherwise – even your church or your family – is idolatry, thus breaking the First Commandment. We acknowledge that we belong to a community we cannot be disconnected from if we want to be true Christians. We are taught to become like Christ, the ultimate role model. We are reminded to use our God-given gifts and abilities to serve others (and ultimately God). Finally, we are given a mission to spread the Good News of God’s love and plan of salvation for mankind. Reading the book on my own 45-day journey (I took a one-day “break” in between chapters to synthesize and reflect on said preceding chapter), I felt reassured in what I was doing. Like Simple Living for Teens, my lifestyle bible, the book says that knowing your purpose-driven life will simplify it. I at first felt otherwise, because my duties increased. However, my overall direction in life did become simpler – and more beautiful. I learned to enjoy life, but to also place it in perspective – eschew worldliness and embrace godliness. My Christian faith, revolving around love, love, and Love, was concretized and I knew I was right in that the Christian faith is all about loving God and others – where everything follows like a positive domino effect. The Five Purposes are very true indeed, and as life is a Test, a Trust, and a Temporary Assignment (as the first chapter puts it), there is no better time than now to start living out said Purposes. Pastor Rick has been accused – both in reviews I’ve read and by my own Bible study teacher – of eisegesis, which is the practice of using Scripture in such a way that it becomes biased towards your own views. Indeed, though he cites other Christians and Christian leaders, all of his footnotes are from the Bible, and he generously uses The Message, which is a highly dynamic, paraphrased translation of the Bible, to promulgate his points. As a Catholic, we are taught that proper understanding of the Bible can be done only by sacred tradition, much how a family secret or tradition is passed down from parent to child – and that all Protestants practice eisegesis due to their liberal Bible-reading, studying, and quoting. Now isn’t the time to comment on this, though it has influenced how I view the book. I slightly agree, but the important thing is that it does not deter us from the eternal truths presented in the Five Purposes. Any true Christian of any Christian faith would understand that, indeed, we are called, invited, commanded even, to be like God and display love and service for Him and others (“Truly I say to you, to the extent that you did it to one of these brothers of Mine, even the least of them, you did it to Me” [Matthew 24:40b, NASB]). Hence my conviction earlier that The Purpose Driven Life is indeed a good read for any Christian. For a new Christian, or newly born-again Christian, it is a good place to start to better understand the basics of the Christian faith. Here at The Daily Aloy like I mentioned earlier this week, I believe in everyone finding their own passion – and by extension their own purpose. Find it and live by it for the glory of God and the service of others. Take note, although God has these five truths for us, He does not expect us to become uniform. Since He gave us all of our individual personalities, skills, and abilities, then He expects us to live out these Purposes in our own ways. You are not expected to be the same as others, but you are expected to give it your all given the cards you were dealt. Each of us has a different hand but the same is expected from all of us – love of God and others. This reflects our value of individuality and respect for human dignity – and using it for service. If you haven’t read The Purpose Driven Life yet, I invite you to do so. The book encourages you to do so with a partner. 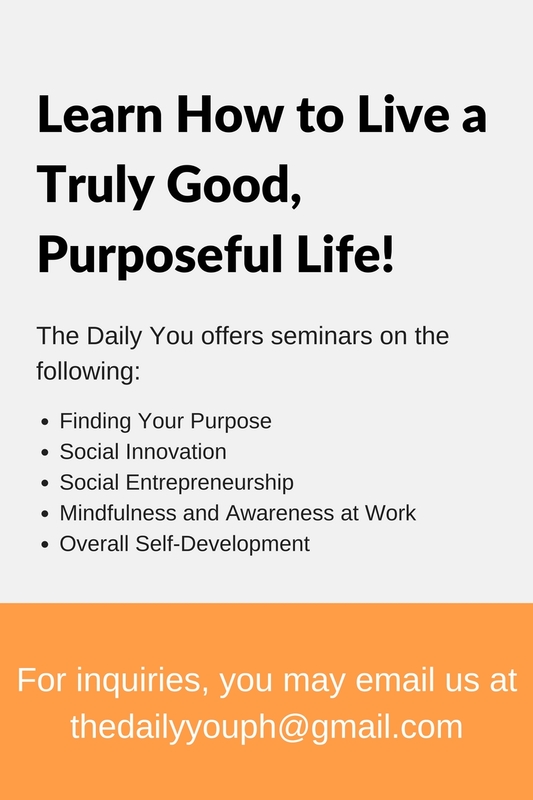 Find someone to take on the 40-day journey with you, embark on it, and I pray you find your own specific purpose too given the Purpose-Driven Life. Tags: books, Christianity, community, love, management, passion, Purpose. Bookmark the permalink.